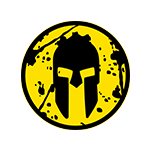 Spartan Spain Obstacle Course Races | What is a Spartan Race? Think you can handle more? Prove it by signing up for one of our endurance races. Choose from the Ultra (50 km, 60 Obstacles), Hurricane Heat (4 hour) (4 hours of grueling team building), Hurricane Heat (12 hour) (12 hours of physically and mentally draining team and individual challenges), or the Agoge, a 60-hour event that builds physical, tactical, mental, and team-based strength through training, testing and evaluation.